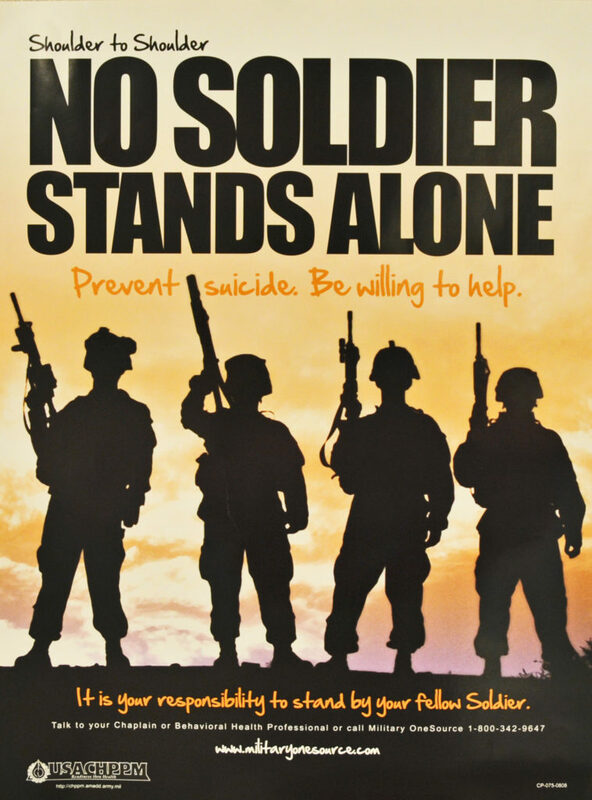 Veterans comprise 20% of all suicide victims in the U.S.
Veterans are at 20% higher risk of suicide than the average U.S. citizen. This must end. One loss of someone who served their country is one too many. One every 65 minutes is unthinkable. ge – an internal violation of a service member’s core moral values and behavioral expectations of self or others – is as harmful to a service member as a physical injury. Transitioning back into “normal” civilian life after experiencing things “normal” civilians couldn’t begin to understand is a problem that takes years or decades to unwind. Waking up after a rough night of nightmares with a deep sense of hopelessness and a loaded gun on the bedside table is an all-too-common scenario. How can floating in salt water possibly help with ANY of this? How will simply relaxing keep someone from waking up in the morning and putting a gun in their mouth? How can sensory deprivation save lives? An entire book could be written on the subject, but the nutshell version is: by allowing a vet to process his/her thoughts without distraction or fear of external judgement, in an environment that feels safe, “held”, un-triggered. The masculine, testosterone-fuelled, emotionally-suppressive culture of the military makes it difficult to understand how simply relaxing can help a person unravel the psychic scars of war, particularly when the body has forgotten HOW to relax. Most vets, living in a constant state of hyper-vigilance, can’t relax, even if they wanted to. Their bodies won’t let them. Alcohol is often a go-to for that goal, but often unleashes emotional baggage in unpredictable ways in triggering environments or around triggering people. A float tank simply makes everything easier. In zero gravity, with the body absorbing large quanities of magnesium through the skin, with no proprioceptive or vestibular input telling the body which way is up or down, left or right … the body has no choice but to let go. The tensions stored in the body release, unwind. Eventually, we realize that we can’t even feel our body anymore. All we are is a mind, a consciousness, at that point. All there is to focus on is what’s in our minds. This is induced meditation, without needing to know HOW to meditate. It just happens. The brainwaves shift gear out of the hyperactive alpha and beta range, and into the relaxed, dream-like theta state. Thoughts, memories, associations and beliefs all start to surface without effort. The conscious mind takes more of a back seat and the subconscious mind becomes more easily accessible. The whole environment just allows it to happen, and to happen without any external triggers. Nothing to react to. There’s only our thoughts. Which at first can be incredibly challenging, but eventually we realize that without anything external to react to, we can simply BE with the thought, with the memory. With our “exteroceptive awareness” – our awareness of externally-sourced sensations – shut down, our “interoceptive awareness” – awareness of internal sensations – engages and becomes much more acute than in our usual distracted state. Perhaps we begin to realize that the memory we are processing is associated with a particular part of our body. Perhaps we notice that part of our body relaxing and then twitching, shaking out the trauma that’s been stored there by our minds. As the posterior cingulate cortex region of our brains starts to deactivate, our “self-referencial thinking” starts to wind down. At a neurological level, we step out of obsessive thoughts about self that are a powderkeg of anxiety. As the hypothalamus relaxes, it begins to produce higher levels of oxytocin, our brain’s “love” chemical. We start thinking about ourselves, and others, less harshly, with less judgement. We love ourselves, and others, just that little bit more. The nucleus accumbens activates, suddenly producing dopamine, making us feel rewarded. At the same time, the medial prefrontal cortex, the brain’s decision-making center, shuts down. The float ends, and we realize we’ve just gone 90 minutes without being triggered by anything external. There was only our selves. And we were able to sit with a challenging memory in a calm way, without reaction. The racing hamster wheel in our minds has slowed down, or stopped altogether. Our body doesn’t hurt, we feel rewarded and suddenly less prone to judge ourselves for the things we’ve experienced and the things we’ve done. There’s no decisions that need to be made. We’ve let go of some stuff. Not all of it, by any stretch, but some of it. We’re a little lighter. And as we step outside, we feel like the external world is something we don’t feel as prone to react to, to feel threatened by. With a body now rich in magnesium, we can head home and enjoy a good night’s sleep, knowing we just did some good internal work and that tomorrow we can be more relaxed, less triggered, more present for our families and friends. This is a little bit of how floating can help prevent veteran suicides. It’s not a cure. And anybody suffering from PTSD and/or suicidal ideation should be working with a trained therapist. But floating provides an environment that just makes everything much easier, makes letting go much easier. We currently have 8 floats available in our Freedom Floats fund, floats donated by our members. If you’re a vet and don’t currently have the funds to float, give us a call we can set you up with a free float, so you can try it without any financial risk. If you believe in the power of floating for helping heal PTSD and want to donate to our Freedom Floats fund, please drop us an email at hello@olyfloat.com or give us a call. If you need help, call the National Suicide Hotline at 1-800-273-TALK (8255), or call a friend. You are not alone.